MATERIALS 1. Main frame with metallic bars and curved pieces laser cut on a solid brushed pine wood. Suspension with NEA elastic webbing with 10 year guarantee, covered with 30kg/m3 foam. 2. Seat cushion integrated in frame made with 40kg/m3 foam. 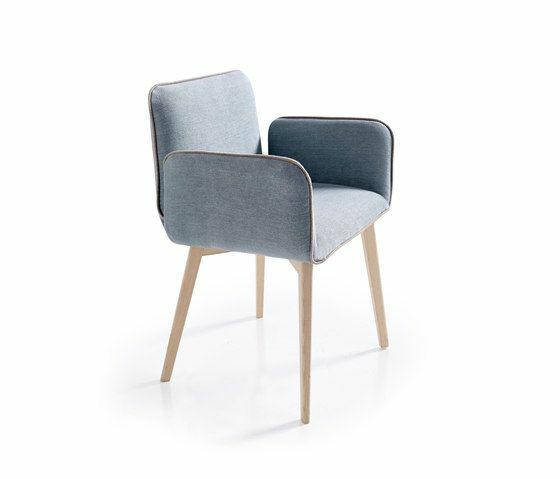 All inner parts of chair are covered with 400gr/m2 siliconed fiber with support of 100% extra soft microfiber. 3. Frame in solid ash wood. Detachable.